The ancient Etikoppaka toys are gradually losing its glory. With the Chinese products overpowering the market, these humble artisans are doing all they can to survive. Here is a peek inside this art form and how one man is helping to revive the industry. Etikoppaka is a small village in Visakhapatnam, Andhra Pradesh. Not many have heard the name of this lesser known village located on the banks of Varaha River. But you might have seen the wonderful toys crafted by the artisans of this place several times. 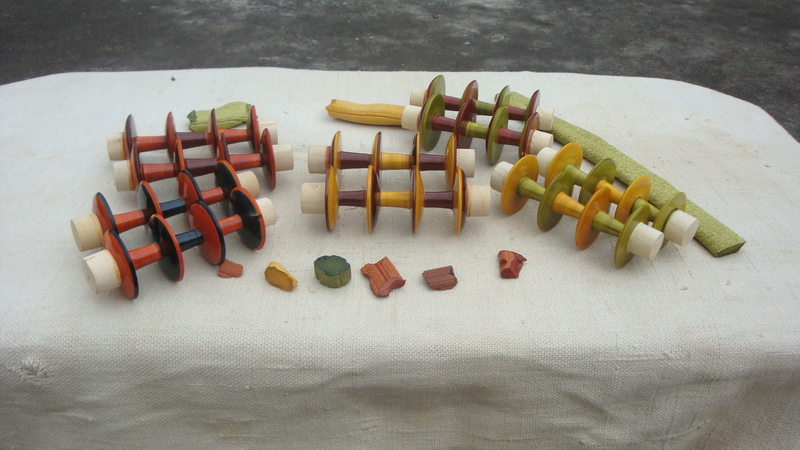 Etikoppaka is famous for wooden toys made with lacquer colours. 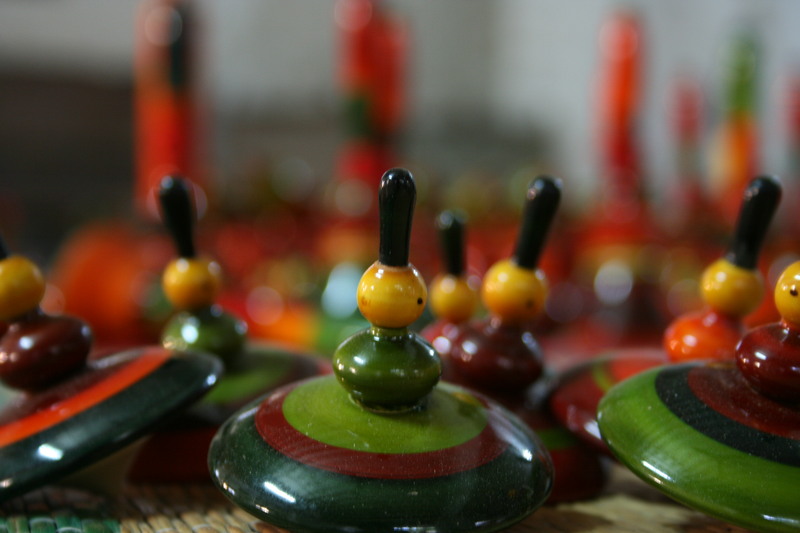 For over a century, the Etikoppaka bowls, boxes, toys were a part of the everyday life of many villages nearby. The wooden bowls formed an important part of a bride’s collection. Women used to carry turmeric, kumkum, betel nuts and other aromatic substances in them. From temples to regular household everyday use, these boxes were everywhere. And how can one forget ‘lakkapidathalu,’ the colourful kitchen set for kids, which consisted of cooking vessels, ladles, an imitation coal stove, a stone grinder and even a well! The village houses over 200 artisans who breathe life in the woods. It once held a monopoly in making colourful miniature pillars, decorative arches and jharokhas. The villagers were always found experimenting with producing one or the other handicrafts. Like every good thing, which gets spoilt due to commercialization, Etikoppaka too saw a downfall. People started replacing this unique art form by cheap and colourful plastic toys. 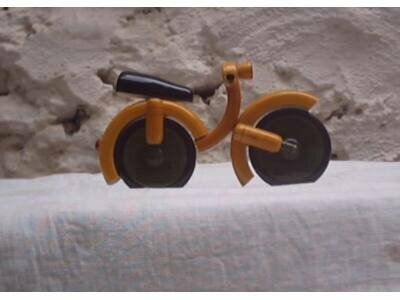 Since these plastic toys were much cheaper than the original toys, the artisans diverted from their traditional methods of making toys. They started using chemical colours to remain relevant in the competitive market. One of the biggest advantages and unique things about Etikoppaka toys was that they were well rounded and made using natural dye colours. This made them safe for kids. Once this uniqueness got lost, the demand of these products drastically declined. Their many products got rejected by exporters because the colours used to contain toxic substances. Also, deforestation added to these artisans miseries. There was a scarcity of the soft Ankudu wood to make the toys. In the post-independence period, lack of demand in the local markets and low prices forced the artisans to migrate to urban areas. The troubles kept increasing and artisans found it hard to sustain their unique art form. This is when one, C.V. Raju, an agricultural graduate and member of the landlord family of Etikoppaka village came to bring a change. He understood the adverse situation and challenges faced by the artisans. Raju took matters into his own hands and decided to preserve this wonderful craft. In earlier days, the dyes were made from`divi-divi’ (Caesalpinia coriaria) tree. 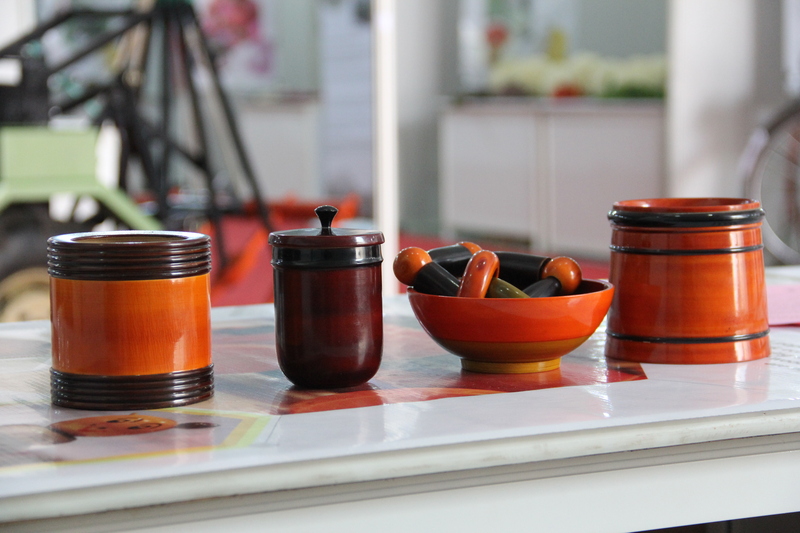 But the artisans could get only red colour in different shades from it. This tree has become locally extinct now. Later, synthetic dyes got introduced in the market, replacing the traditional tree-based dyes. These were available in wide-ranging colours. Another chemical, Titanium dioxide was used while mixing with lacquer in these colours. Raju stood up against the artificial dyes and practices. He took up the task of preserving the skills of artisans. He wanted to stop these wonderful artisans from migrating to urban areas as unskilled labourers. The first step was to encourage quality products, which would fetch a higher value in the bigger market. “High prices and increasing demand for their products made the artisans realize the value of their skills. They gradually started going back to the natural dyes,” says CV Raju. Raju attended some workshops and training courses for making natural dyes for textiles. He then explored the vast world of trees and the secret dyes in their roots, barks, stems, leaves, fruits, seeds and much more. His experiments resulted in natural dye concentrates over wide ranging colours including the royal red and Indigo. Crafts Council of India helped Raju to get these dyes tested for their toxicity. Most of these dyes proved to be lead-free. Those which showed signs of toxicity also developed micro-toxins only if they were preserved in the slurry or liquid form over long durations. After many efforts and experimentation, Raju developed an innovative technique to preserve them in the form of cakes, thus avoiding the development of micro-toxins. These new set of colours gave a new lease of life to the craft in Etikoppaka. But this was not the end of the artisans’ woes. A major hurdle of the unavailability of the wood still remained unresolved. 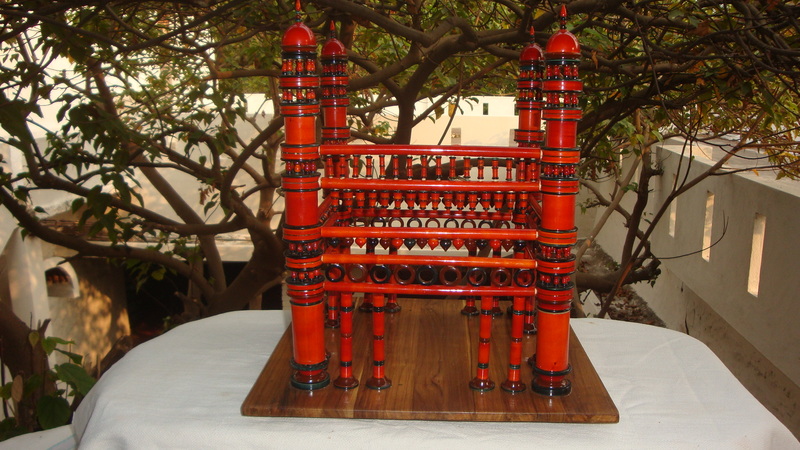 ‘Ankudu’ wood is most suitable for making these toys. Forest department imposes fine on these artisans for using this wood. There are no legal means of obtaining wood directly from the forest other than buying from the vendors. Each member had to pay Rs. 10 a month as a tax, irrespective of whether the artisans used the wood from the forest or not. The Forest Protection Committee resolved this problem to some extent by the plantation of this species over the last few years. Etikoppaka was gradually finding solutions to its problems. And CV Raju left no stone unturned to make the artisans’ efforts count. To make his innovative colours reach the right market, Raju started a cooperative association of the artisans called “Padmavati Associates”. His key strategy was to strengthen local traditions of making vegetative dyes, develop new tools, techniques and methods for increasing the shelf life of the dyes. He developed many new toys for which market was slowly emerging in India and abroad. With time the supply of many herbal dyes started increasing, making things easier for the artisans. These toys are gradually making their mark in the market again. The local artisans of Etikoppaka are assisted by the School of Fine Arts, Andhra University, National Institute of Design, Ahmedabad and M.S.University, Baroda besides individual designers to come up with new designs. You can support this fading art form by choosing authentic hand made toys and by spreading the word about them. You can write to us at – thestoriesofchange@gmail.com. Follow us on Facebook and Twitter and YouTube for more stories like this. The unsung musicians in the streets Pushkar, Rajasthan share their journey and how they are keeping the folk music alive.